Microsoft Reportedly Preparing a Foldable Device That Will Seamlessly Run Windows - New Surface Hardware Inbound? Microsoft Reportedly Preparing a Foldable Device That Will Seamlessly Run Windows – New Surface Hardware Inbound? Foldable devices are an emerging trend, and foldable displays are most likely here to stay. A lot of OEMs are expected to release foldable smartphones this year. Google has also said that it will natively support devices bearing such form factors. 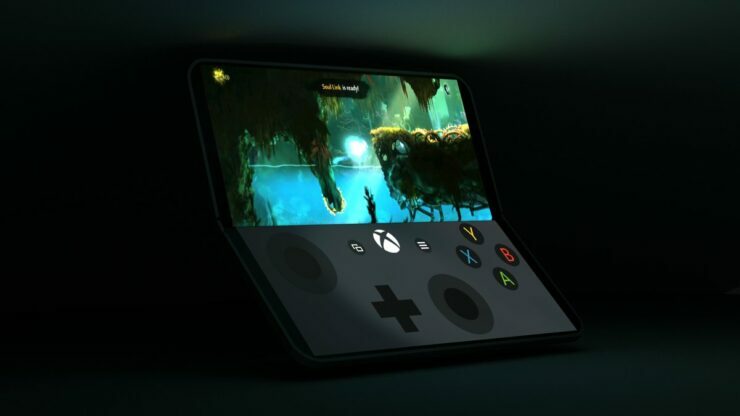 Keeping up with the changing times, Microsoft has also reportedly taking foldables seriously and is apparently betting heavily on the new form factor. Since the software giant launches Surface-branded devices, perhaps in the future, we’ll see a foldable Surface machine. According to a new report, the Redmond giant wants to make Windows adaptable to changing form factors. The company sees hybrid dual-screen devices and foldable hardware as lucrative areas for investment for Windows as well as its Surface lineup. Alongside its mysterious dual-screen device known as Andromeda, Microsoft is also collaborating with PC makers to develop 2-in-1 devices. Most of this work is concentrated on Microsoft’s Composable Shell (C-Shell) and Windows Core OS, which will unify Windows across various devices. Earlier this week, the first Windows 10 build made for foldable devices was spotted, which means work has already begun. This is hardly surprising as the company has been steadily integrating early Windows 10 builds with its dual-screen features in recent months. The Windows Core OS has only been seen on the Surface Hub 2 so far, and apparently, the upcoming HoloLens 2 will also run it. In the coming months, we can see a range of dual-screen hybrid devices from various PC makers, some of which might be powered by ARM chips. Moreover, a lot of OEMs are also going to release foldable smartphones this year, including Huawei and OPPO. In short, we might see a paradigm shift in the industry in 2019. Microsoft was earlier reported to launch a redesigned Surface Pro for this year, and 2019 might be the year when the company finally embraces the Type-C USB interface. As for the foldable form factor, we don’t see a launch before 2020 and you should also know that making such devices is complex so expect delays in the launch.